We are a technology based company dedicated to the production of scientific and biomedical instruments for Magnetic Hyperthermia and other experiments based on magnetic heating of nanostructured materials. Formed in 2008 as a Spin Off Company coming from the Aragón Institute of Nanoscience (INA) at the University of Zaragoza, nB enters the market in 2010 as the best resource for researches and technology centers to develop specific or custom-made equipment. 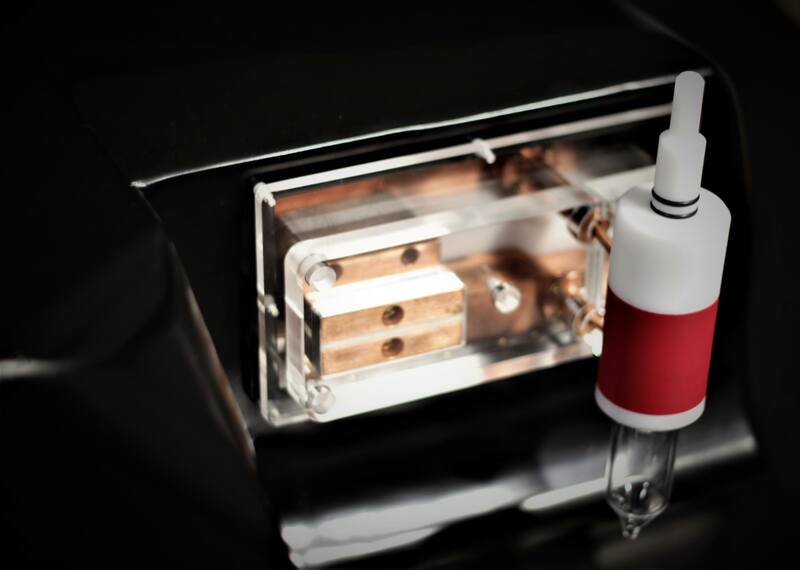 The conception of DM100 and D5 Series comes from an unmet need among the scientific community. Its unique design is the result of the strategic partnership developed with the expertise from the specialized researchers of INA. nB nanoScale Biomagnetics is your ideal partner for your needs and initiatives on scientific and biomedical instrumentation. nB nanoScale Biomagnetics is instrumentation for your ideas. The next step on Magnetic nanoHeating research. Improved technology, unlimitted numberof frequency modes, more power, flexibility and expandability. 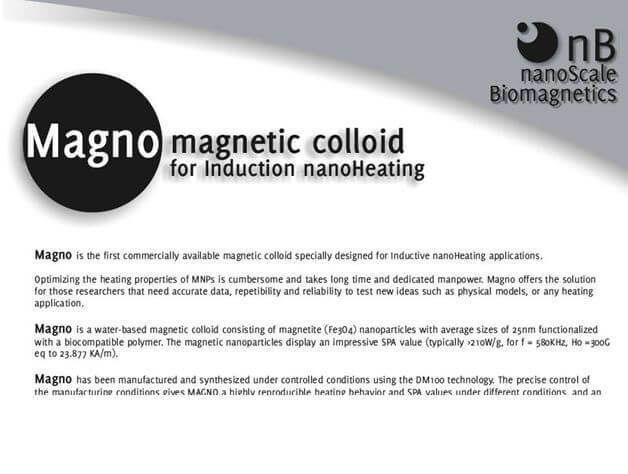 The only colloid specially designed for your research on inductive heating of nanoparticles. 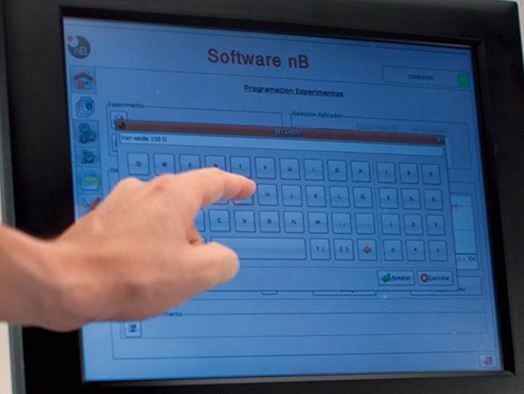 Magno guarantees repeatability, traceability and reliability. 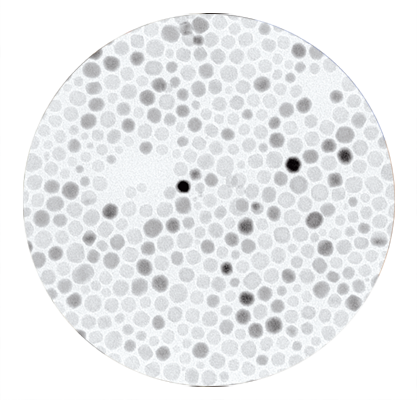 The first insight to your next research project. 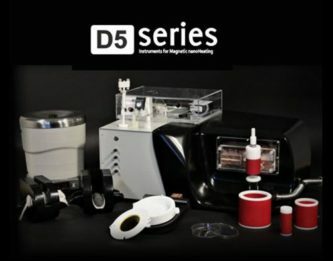 We run your samples with D5 Series and you get a full report with all measured data ready to publish! Attention to every detail makes a reliable system. The right way to measure temperature. Keep up with us on LinkedIn!